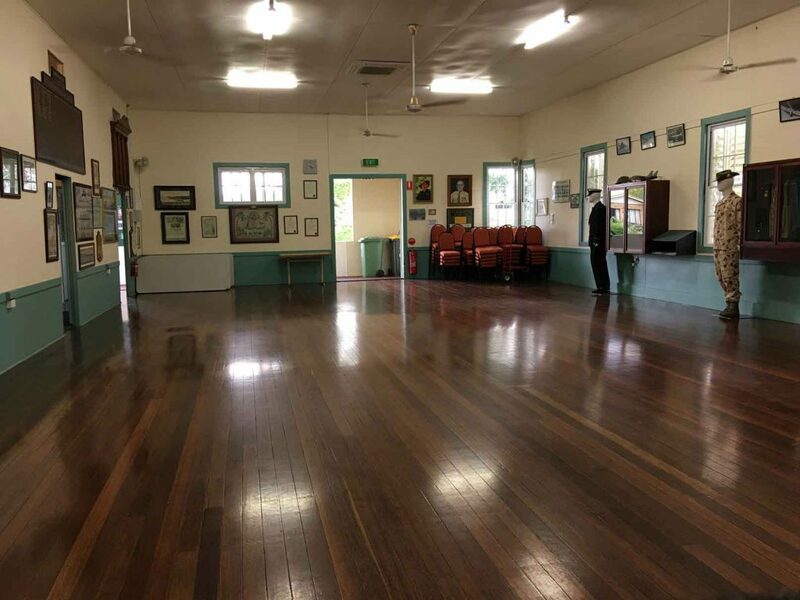 The Yandina-Eumundi RSL Hall is well located, with easy access to the town of Yandina. The Hall provides a venue for many community activities. Please take the time to read the the halls’ history page to discover the hall’s interesting background. The Hall for is a great venue for regular events through out the year for community groups and local businesses alike. It is available for either regular or adhoc hire at very reasonable rates. We also have our bookings calendar online so that you can see the current bookings easily and the future availability of the hall for your convenience. Our hall has a brand new, clean, bright kitchen with plenty of fridge space available and an adjoining dining area that is pleasant for small gatherings. The hall is light and bright, with good natural light and attracts the breezes on both sides. There are also ceiling fans throughout and air-conditioning available upon request. 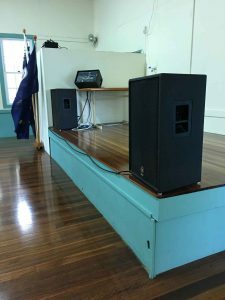 There is a stage that is equipped with a projector screen and the projector and AV/PA equipment is available at an additional cost for presentations or training. There is a ramp that allows for easy access for wheelchairs and prams. Suitable for classes, presentations, meetings, dinners, performances, concerts, weddings and various celebrations. Flexible catering and bar arrangements available upon request.